Royal Mail has apologised after announcing a price rise which breaches a cap designed to make the postal service “affordable” for all consumers. From 25 March, the price of a second-class stamp will rise by 3p to 61p – breaching Ofcom’s current price cap of 60p which is in place until 1 April. The price of a first-class stamp will also increase by 3p to 70p. Ofcom set the current price cap in 2012, when it allowed Royal Mail to increase the price of first and second-class stamps by 14p, following concerns the universal service was at “severe risk”. The cap was set at 55p and would increase in line with the Consumer Prices Index (CPI) measure of inflation, making the official cap 60.65p today. Royal Mail says it informed Ofcom of its “error” before announcing the new 61p price on Friday. “We apologise for this mistake,” a spokesman for the company said. 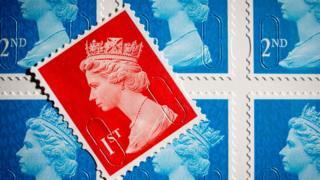 Ofcom says Royal Mail did inform them of the price rise but had not explained how it happened. It added that it is “urgently seeking clarification from the company”. The newly-announced price increases are the highest for the two stamps together since 2012. Royal Mail says its prices remain good value when compared with other postal operators around Europe. It says on average, the equivalent cost of first-class post in Europe is 99p, while second class costs 77p.